Play dog frisbee on land and sea with this floatable flyer. By far the best dog frisbee around. Pliable and safe for dog's mouth. Dogs catch it, toss it and fold it in half to make a duck's bill. Everyone will have fun with the Zisc! 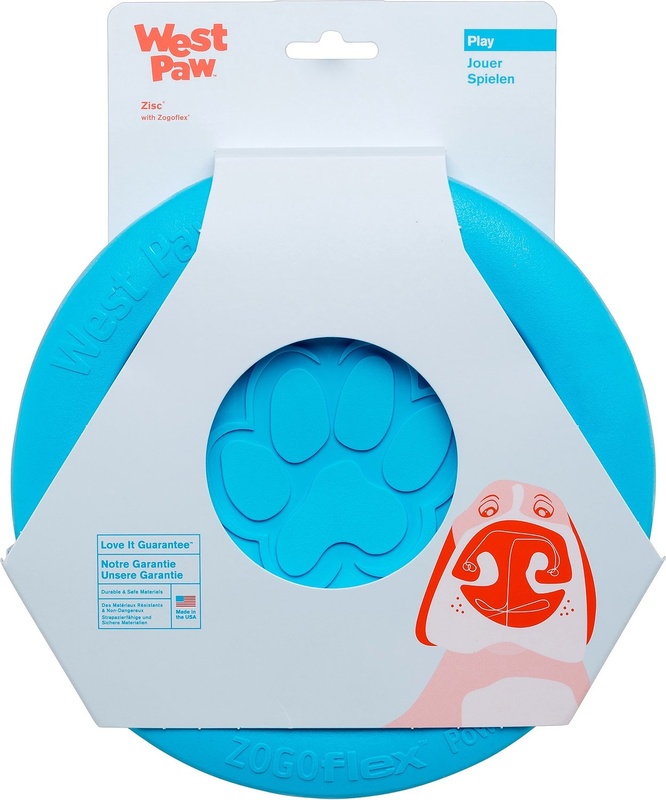 Made with Zogoflex® material, this FDA compliant dog toy by West Paw Design is floatable, dishwasher safe, 100% recyclable, non-toxic, durable and easy on dog’s gums. This is the best dog frisbee on the market! Great for hiking or travel. Pliable for easy packing. 6.5″ mini-Zisc great for puppies to large breeds.